This Saturday Old Town Plaza will play host to the Elk Grove Chili Festival cook off. Now in its ninth year, the Cook Off is growing in popularity every year. For this years competition, there will once again be two categories. The first category is the Homestyle Competition and an International Chili Society sanctioned contest. 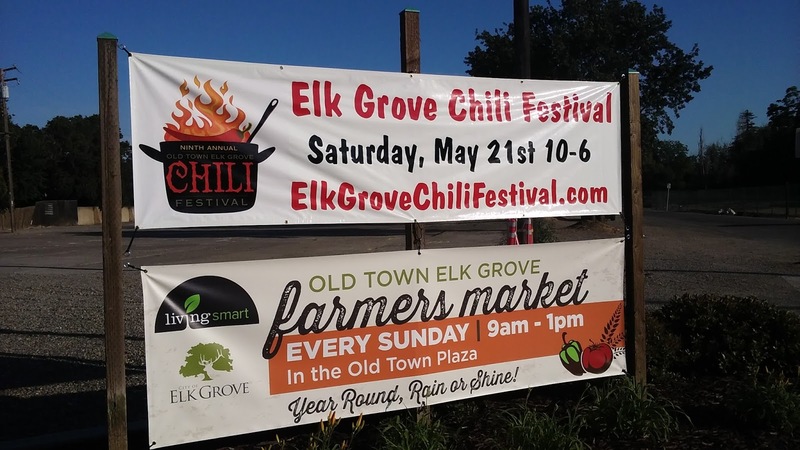 In addition to the chili competitions, there will be free entertainment including live music and a host of children activities, a beer tent, and food trucks. Weather is expected to be unseasonably cool this Saturday, so come by and warm-up with some great hot chili. If you do make your way to Old Town on Saturday, stop by the booth for last year's Second Place People Choice award winner in the Homestyle categoary, Notorious P.I.G. and Say Hey! Captained by Steve "Say Hey" Lee, the Notorious P.I.G, which includes your friendly EGN staff, has racked up first place awards in Rib, Tri-tip and Pork Tenderloin competitions in Elk Grove over the last two years. More information about the festival is available here, and don't forget to stop by and Say Hey to the Notorious P.I.G. team! Congratulations Steve Lee & EGN staff of Notorious P.I.G for taking First Place in the Homestyle Competition. Wonderful day for chili tasting and meeting many of our neighbors. Little rain shower didn't even dampen our spirits, just made it all the more fun.